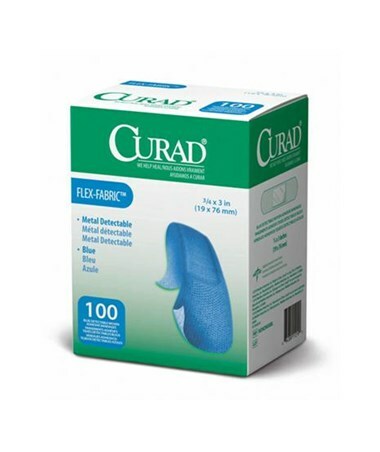 Curad's Food Service Fabric Adhesive Bandages meet the needs of the food service industry with their high visibility and innovative, long-lasting adhesive that's gentle on the skin. 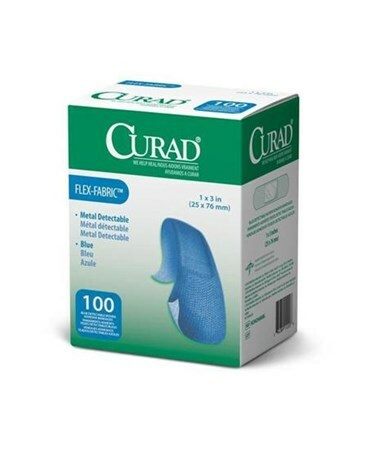 Detectable metal hidden behind the non-adherent wound pad easily triggers metal detectors used by food packagers (this routine process scans for dangerous metal debris such as screws or knife tips that can accidentally fall into food during processing). 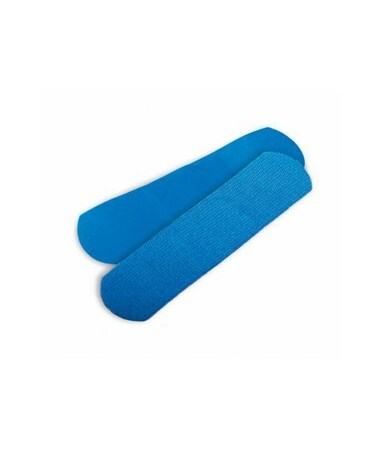 In addition, the highly identifiable blue color stands out in all different foods. 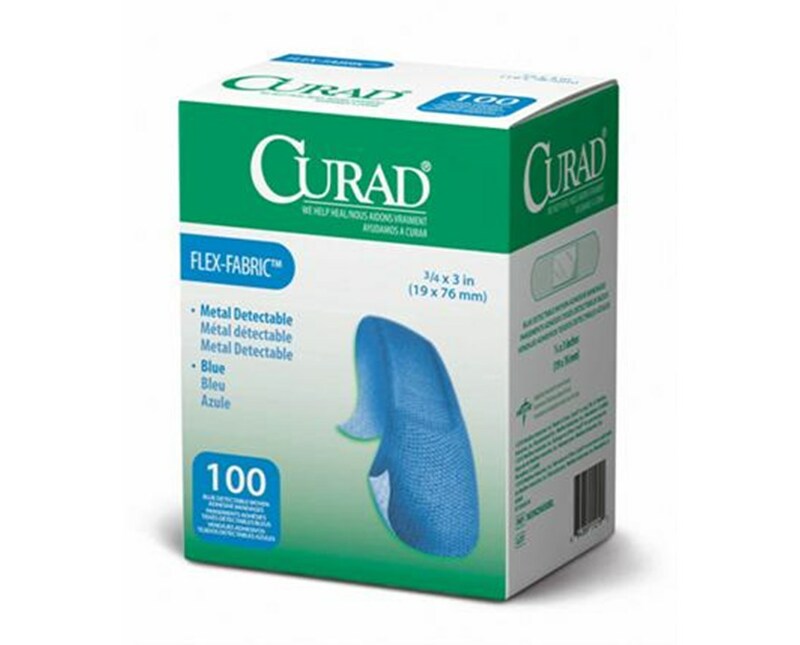 We offer Curad's Food Service Fabric Adhesive Bandages in two sizes.Select from the drop down menu above.